Leaves alternate, cauline, simple, semiterete. Heads solitary, terminal. Heads cup-shaped to turbinate; involucral bracts multiseriate, glossy, glabrous or sparsely woolly, the claws always scarious, the inner with white or coloured lamina; receptacle flat to conical, naked. Florets numerous, bisexual. Corollas tubular, expanded above, actinomorphic. Anthers tails filiform. Style branches rounded to broad-triangular. 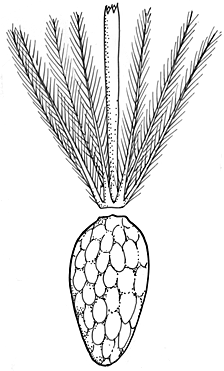 Achenes oblong to obovoid, glabrous, smooth or papillose; pappus bristles filiform, plumose, united in a ring at base and caducous as a whole. Distribution and occurrence: World: 10 species, endemic Australia. Australia: all States except N.T.